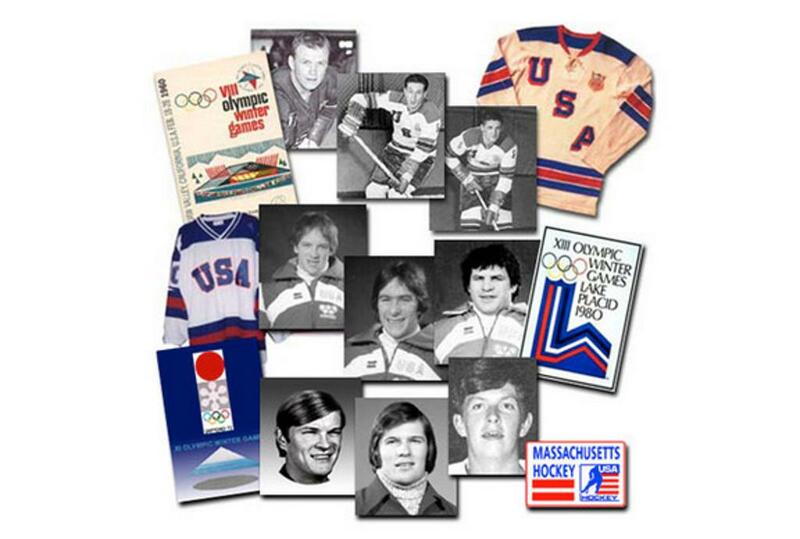 Boston, MA – Joining a stellar lineup of past and current hockey greats recognized for outstanding accomplishments and contributions to the sport of ice hockey in Massachusetts, seven men and two women will be inducted into the Massachusetts Hockey Hall of Fame on Wednesday November 13, 2013. The 19th Annual induction ceremony and dinner will start at 6:00 p.m. at the Montvale Plaza in Stoneham. Veteran sports broadcaster and current NESN studio host Dale Arnold will serve as Master of Ceremonies. Past inductees read like a “who’s who” of hockey heroes who over the past 50 years have helped position Massachusetts as the hotbed of hockey in the United States. The list is stock full of Olympic and Paralympic heroes, college and NHL stars, female pioneers, high school and college coaching legends, distinguished referees and media icons, as well as a cadre of dedicated, behind-the-scenes grassroots builders who have tirelessly spent decades furthering the development of the game in Massachusetts. Inductees to the Massachusetts Hockey Hall of Fame are chosen on the basis of accomplishments in the game of hockey, sportsmanship, character, and contributions to his or her teams or organizations in college, amateur or professional hockey, or on international teams representing the United States. Each nominee must have distinguished himself or herself by exceptional performance and outstanding character reflecting favorably upon the game of hockey in Massachusetts, be in good public standing in the community, an appropriate role model for young hockey players and an exemplary representative of the game of hockey. Massachusetts Hockey, Inc., is a not-for-profit tax exempt organization which serves as the affiliate association of USA Hockey, Inc., and is the official governing body for the sport of hockey in Massachusetts. As such, its purposes and objectives are to develop, advance and encourage participation in the sport of hockey; to develop and encourage sportsmanship between all players for the betterment of their physical and social well-being; to develop and improve the standards of the sport; and to educate and train players, coaches, referees, managers, administrators and parents. For more information, visit www.masshockey.com. A limited number of tickets ($60) to the 2013 Hall of Fame Induction Dinner are available and may be purchased by contacting Julie Piacentini at juliepiacentini@netscape.net or (617) 828- 4535.